The 4 connector on Firewire is small [size - qwerty]. 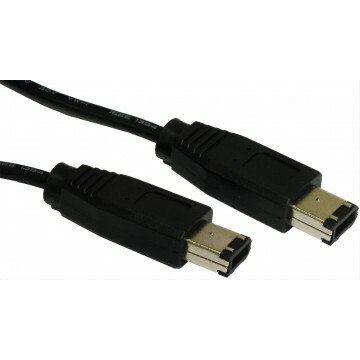 6 to 4 usually connects the DV-out on a video camera to most PC s with Firewire ports (PCI and PCMCIA cards are available) and some other video editing devices. It can also be used for other peripheral connection (some Firewire scanners external drives etc). Check devices documentation for more details.